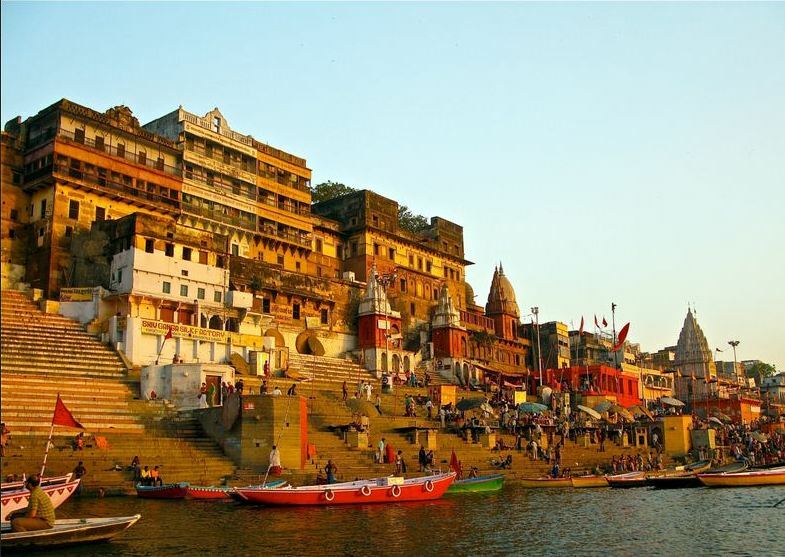 It is believed by a great number of Hindus that if your corpse is cremated in any of the ghats lining the Ganges river in Varanasi, your soul attains moksha or liberation from the cycle of suffering. The cycle of being “reborn” in this world is broken. Photo of a bathing ghat in Varanasi courtesy of Ken Weiland under a Creative Commons 2 license. Today, I want to talk about the relation of Karma and Reincarnation to Ascension – and how this has bearing in my life right now as a budding lightworker and “shaman-in-training”. But first, we have to explain what Karma is. Karma is a Sanskrit word which means “to do”. It basically means “action”, specifically all the actions and the results or consequences of those actions we have done in this lifetime as well as previous lifetimes and future lifetimes, if you believe in this concept. The meaning of Karma cannot be separated from its counterpart, the word Reincarnation. Reincarnation, especially to Buddhists of all affiliations and Hindus, means being “reborn” or “incarnated”, not necessarily in human form (can be an animal, insect, plant or extraterrestrial being) in different lifetimes, depending on the karma that we have generated in previous lifetimes and in this lifetime. Although we occupy different bodies, the soul occupying these bodies is just one – ONLY ONE and the same one since your Primordial Birth from One Source. So, basing on our “karma”, whether we generated good and positive or negative actions in different lifetimes, we are “reincarnated” into either this 3D plane of existence on this planet or in different planets and even higher or lower dimensional planes in different forms (man, animal, insect, plants, spirit, etc.) here or in different worlds (the nearest or farthest planet, solar system, your neighboring galaxy, etc.). So when I got to understand this concept of “Karma and Reincarnation” which took me almost 20 years to study and understand, I set out to find what my purpose in life is. It wasn’t easy. There were good experiences and there were bad experiences in this lifetime. And there were “really BAD” experiences. Like your main source of livelihood being gravely hit by a global economic recession and you end up having bouts of depression that were partly instigated by the Rs. It was during this period that I started actively seeking answers to the spate of misfortunes I was having then (of course, I was not yet introduced to the concept of the Rs then ;)). I went to a highly popular and respected psychic and academic guru, attended past life regression sessions and trainings to see if I could trace the source of my misfortunes. Believe me, I didn’t get all the answers then although I was regressed twice and I saw my previous lifetimes. In fact, past life regressions led to more questions! All these time, I started seeing visions through my 3rd eye of luminous beings – I call them “luminous” because I could see only their form which was illuminated by very bright light. My clairsentience at that time was still starting to develop so even though I could see them, I could not communicate with them properly. All I could sense was that they came from a future Earth and was informing me of a “Great Change or Upheaval” in December 2012. Wah! I said to myself. This is pretty heavy stuff! It took me probably 13 years to figure out the meaning of those visions and its significance to me. Eventually then, when I started interacting with my ascended and multi-dimensional friends, that I learned that I was “reincarnated” into this lifetime so I could serve others to find their own truths also and thus, help the planet and its inhabitants ascend into the 5th dimension. • Engage in an activity that will enable you to quiet your mind so you can “see” and “hear” clearly from the heart. This might mean studying meditation or yoga, or even just sitting under the trees and breathing in the oxygen they give out. It will calm your mind and sometimes, open possibilities that you have never thought of or ever encountered before. • Enlist the help of a friend or mentor who is “spiritually and emotionally more advanced” than you. These people – including higher dimensional, benevolent beings — can usually guide you to the right path and share their experiences in “lifting the veil” and subsequently, finding the “truth” in this 3D reality of ours (more of “finding the truth in our 3D reality” in a future blog post). • Be more “benevolent” and “live with love and compassion in your heart”. Believe me, it is a real challenge for me as well, as it is never easy to deal with people still highly “plugged” into this 3D world. Most of the time, we act out of fear and aggression of what the other person can do to you, and this might be your immediate family member, a friend, an acquaintance, a colleague, a stranger, etc. Living in 5D means we eliminate this need to “react with fear” and “do more, serve more and relate positively more” with other people. At least this has been my experience. • Read up on Ascension and how this relates to you. A lot of this info is on the internet, waiting for us to discover, like I did. For starters in the Ascension concept, you can nosey around first among my favorite reads listed in this blog post: https://shamanainthemaking.wordpress.com/2015/11/29/shamana-in-the-makings-favorite-reads-on-ascension-ufos-karma-reincarnation-black-ops-and-lightworking/. I am not really the type to tell people to “do this and do that”. As an indigo person and a former daily beat reporter, I have always believed that a person must be given the chance and the time to decide what is good for him/her. We can only provide that person the information and the data; they have to figure out for themselves what works for them. So how about you – what are your thoughts about karma, reincarnation and ascension? Do you have an interesting karmic or ascension experience before that you’d like to share? This entry was posted in ascension, Shamanism, Spirituality and tagged Ascension, clairsentience, karma, lifting the veil, lightworker, Reincarnation, The Great Shift. Bookmark the permalink.